2. The first Noel, the angel did say, was a sweet, little pastel calico that my middle daughter still misses terribly (we found the kitty at our town’s Christmas parade and named her “Noel”). 3. Pigeons fly and poo, Over the hills and everywhere. 4. It came upon the midnight clear, from the murky depths to challenge Santa’s hold as Lord of the Chimney and Master of the Sleigh. 5. A six inch incision and rib spread will, Let your heart be light. 6. And the thing that will make them ring is the carol that you sing on the tv shows “In the Heat of the Night” and “All in the Family” (the actor’s name is Carol O’Connor). 7. And as for the weekend, tonight I’m looking forward to finishing and reviewing The Lion, the Witch and the Wardrobe and Prince Caspian, tomorrow my plans include finishing and reviewing as many of the rest of the Narnia books as possible and Sunday, I want to have all the Narnias done, my Sunday Salon posted, and start in on Harry Potter and the Half-Blood Prince! Miscellaneous: The Magician’s Nephew was first published by The Bodley Head in 1955. The copy I’ve read is in a complete collection. In The Magician’s Nephew, we learn where Jadis, also known as The White Witch, came from and what happened to her world. Jadis herself had been responsible for the death of her home world, Charn, and when Digory’s curiosity (we all know what that did to the cat) gets the better of him, how she was awoke. 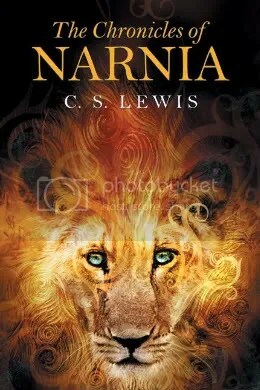 Now, of course there are parallels in all Narnia books to Christianity, Lewis had intended the books to be both entertaining and an inspiration to Christians (as well as an invitation to non-believers). I could pick several out and write in here what they meant to me as a Christian. However, that would make this a theological blog post instead of a book review, so I will abstain (as much as a person with a B.A. in Christian Ministry CAN abstain) from focusing on the allegories and, instead, focus on the merits of the book itself. As a book, I really enjoyed The Magician’s Nephew, particularly since I have had previous experience with Narnia books. My mother assures me I have read them all, however I only remember reading the first three (not counting this book as the first) and part of The Horse and His Boy. There were several times when I went, “Oh! the professor!” or “Aslan….” and “ugh! The White Witch”, and the ending of The Magician’s Nephew tells where the wardrobe came from, and why it was magical and able to take the children to Narnia. On its own, I don’t think The Magician’s Nephew could fully be appreciated as a book, it takes the next book to really understand what this book is pointing to and, in that, I don’t know if it really should be the first book to read. 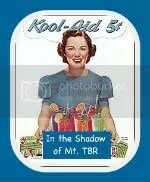 However, it is a very worthwhile book to read. There is the concepts of good and evil, all children seek these poles in their own worlds, and how our own misdeeds, even when they’re not intended, can bring pain and misery on those we may never even know. Later, much later, generations of Narnians will come to suffer for Digory’s one moment of impulsive actions, even as Polly is begging him not to do it. Also, Lewis makes the point of who and where we are in life affects the way we may perceive the good things in our life: an evil, selfish person sees the people around him/her for their usefulness and not as companions and comrades, whereas a good and open person sees the possibilities and wonder around him/her. –The Yiddish Policemen’s Union by Michael Chabon, page 1. This first paragraph of Michael Chabon’s book about Jews living in the Federal District of Sitka as an interim homeland after Israel failed after three months of Statehood in the alternate timeline of The Yiddish Policemen’s Union. Now, as the Sitka District is two months from reverting back to the control of the state of Alaska, homicide detective Meyer Landsman, occupant of room 505 of the Zamenhof, a hotel that’s only half a step up from a flea bag flop house, is called on by the night manager to investigate the murder of a man in room 208. It is apparent from the start that the man is not who he claims to be, and the only clues Landsman has is the bullet hole in the man’s head, a chessboard in mid game, a book of 300 chess moves and the evidence of heroin abuse. Throughout the book, the reader is able to see and feel the inside world of a Jewish community. With it’s humor and sprinkling of Yiddish words and phrases, The Yiddish Policemen’s Union begins as a murder mystery but spreads to include the prejudices not only from the outside world, but those within the sects and families within the Jews of the Sitka District and outlying areas, and the political manipulations going on from Washington, D.C. and the Sitka bosses. As a murder mystery, The Yiddish Policemen’s Union is good, but what I really loved about the book was its use of the game of chess as a metaphor and to foreshadow the events in the story. 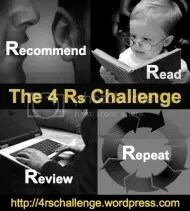 The use of strategies and tactics to reveal the nature of the characters. And it is the game that was forever stop mid-play in the dead man’s room that ultimately leads to the capture and confession of the killer. Besides chess, murder, and Jewish culture, the book deals with the universal nature of a child’s desire for the approval and acceptance from his or her parents, even when that child is a burly man in his thirties and a father himself. Homosexuality, drug use, alcoholism, and the supernatural all make appearances in The Yiddish Policemen’s Union. While I did enjoy this book, I have to say I had hoped it would be more compelling. I reached the end of the book with the sadness often felt at the departure from the world and people within the covers. The book didn’t really impress me much, and it will probably be forgotten in six months. 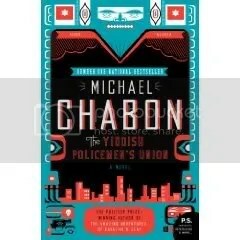 I give The Yiddish Policemen’s Union by Michael Chabon 3 out of 5 stars. It was good but not great, interesting but not a page-turner.